Euro Motors Jaguar Land Rover announces the introduction of an unbelievable offer on Land Rover’s most versatile SUV, the All-New Discovery. In line with its constant innovative practices, Euro Motors Jaguar Land Rover now presents them with the opportunity to purchase the All-New Discovery through exceptionally low monthly payments starting from BHD 333 at an interest rate of 0% over 5 years. The offer also provide customers with benefits such as 5 years free warranty, a free 5 year service package and free 24/7 road assistance services for 5 years. Trademark design features include the stepped roofline, which has identified each of the four previous generations of Discovery and provides an elegant solution to a practical need. The design accommodates Discovery’s customary stadium seating configuration ensuring every seat is the best seat in the house. Built for adventure, the All-New Discovery consists of a comprehensive suite of off-road driving technologies that ensures the vehicle’s supreme all-terrain capability is easy to access for even inexperienced drivers. Land Rover’s multi-mode Terrain Response 2 system optimizes a range of settings, from throttle sensitivity to gear change characteristics, to suit the driving conditions at the turn of a rotary controller. The high performance SUV is powered by Jaguar Land Rover’s efficient range of six cylinder engines, all paired with a smooth and responsive ZF eight-speed automatic gearbox. 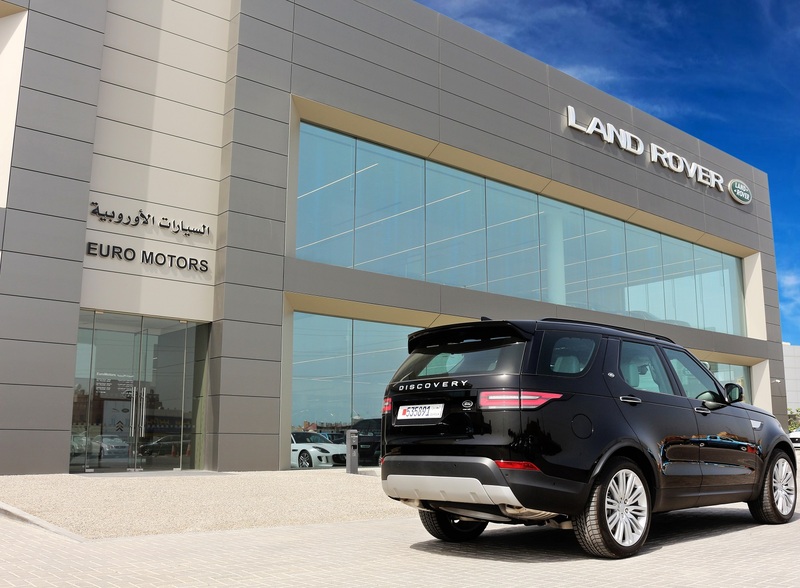 To know more, call the Euro Motors Jaguar Land Rover showroom on 17460460 or follow the latest posts about Land Rover on Facebook at Euro Motors – Land Rover Bahrain or on Instagram at @emlandroverbahrain. Additionally, to get further information, follow up to date Land Rover tweets on twitter on emlandroverbh.